Aradhna Tripati, speaking to students in her lab, wants to increase the numbers of underrepresented minorities in the sciences as a way to promote environmental justice. In environmental science, a field that affects all 7 billion people and every living plant and animal on the planet, 86 percent of the workforce in the United States is white and 70 percent is male. 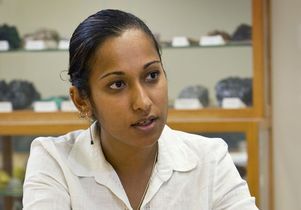 This makes Aradhna Tripati, one of the world’s leaders in climate research and a member of the UCLA Institute of the Environment and Sustainability, a far too rare member of a vital legion of scientists studying what is perhaps Earth’s most urgent problem. To help create the next generation of leaders, today UCLA launches the first university-based center for diversity in environmental science. By supporting scholars and professionals at all levels — “from K to gray” — the Center for Diverse Leadership in Science seeks to provide mentoring opportunities, fellowships for students and researchers, and professional development. Opening up the field to a far more diverse pool of scholars with a broader range of experiences not only is critical for the science, but also empowers underrepresented people and communities. Tripati said the center will improve both recruitment and retention, by focusing on providing support at critical educational and training stages, when people from underrepresented groups often leave the STEM fields of science, technology, engineering and math. “Our goal is to raise funds to support 150 people a year,” Tripati said of the center which will be housed in UCLA’s IoES. It already includes 20 affiliated faculty, a number that’s expected to grow. Tripati grew up in Los Angeles, the daughter of immigrants from Fiji. When she was four years old, her father was sentenced to prison. After being released, he was sent back to prison with a sentence of 52.5 years without parole for fraud in a process Aradhna calls “racially motivated.” The family maintains his innocence. Losing a father to the criminal justice system put serious emotional and financial stress on the family. “There were times when we had four dollars for food for the week, and at one point my mom went through bankruptcy because of legal bills,” Tripati said. She found escape in books and spent much of her childhood in libraries, which aligned with her mother’s emphasis on education and self-empowerment. Tripati soaked up information like a sponge, but felt socially isolated during elementary school. Things got worse in junior high, where she faced bullying and threats of violence, which compounded the problems her family was dealing with at home. But soon her escapism evolved into opportunity. Tripati’s self-teaching and natural aptitude qualified her for a program that sent her to California State University, Los Angeles, at the age of 12. 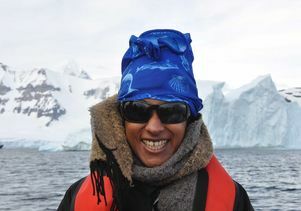 UCLA climate researcher Aradhna Tripati in Antarctica. Though her parents wanted her to become a doctor or lawyer, a class on environmental geology and society during Tripati’s sophomore year started her on a new career path. In that class, she went hiking for the first time in the San Gabriel Mountains and discovered how human impacts on the physical world linked up with social issues — issues like safety from man-made and natural disasters, access to resources like electricity and clean water, and public health. As Tripati entered graduate school at UC Santa Cruz and pursued her doctorate, her love of environmental science continued and her network grew stronger. Family illness meant that she fostered her sister and considered leaving the program. Fellow students and faculty mentors became personal friends and supporters. She was guided toward fellowships that helped pay the bills and ensured she finished her degree. “I had professors who were incredible role models and mentors, and were willing to provide me with research opportunities and support my applications for scholarships,” Tripati said. Giving back to others was as important to Tripati as the support she received. In college and graduate school, she became active in student clubs and community outreach, and volunteered, counseling women in crisis. 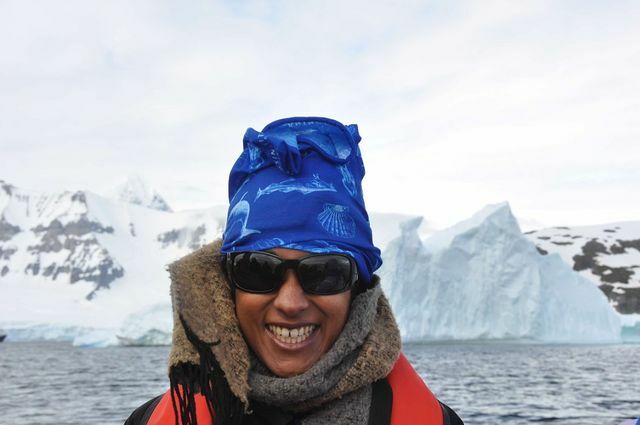 Now just 38 years old, Tripati’s list of accomplishments is impressive: She has authored or co-authored 66 publications, of which 12 are in the prestigious journals Nature, Science or Proceedings of the National Academy of Sciences. In early January, she received a Presidential Early Career Award — the highest honor the U.S. government bestows on professionals in the early stages of their research careers — from President Barack Obama. As a woman of color in a field dominated by white men, Tripati still encounters challenges — and overcomes them with dogged persistence and help from others. Her altruistic contributions also continue. Through her laboratory, she mentors students and researchers of diverse backgrounds and gives them leadership opportunities. Through outreach to local schools, she presents science as one path to a better future for underserved communities. 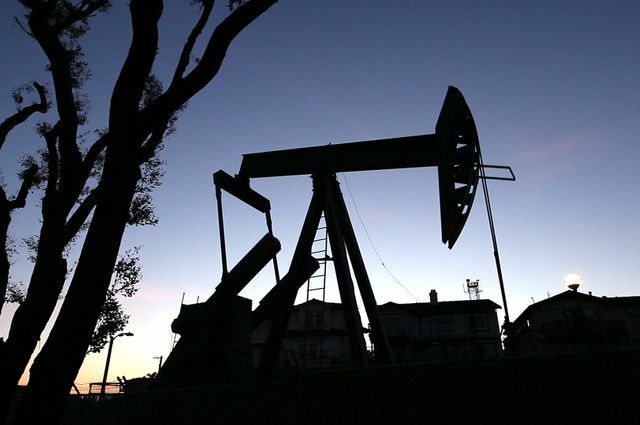 Oil drills in urban settings are usually found in lower-income neighborhoods. Particularly for students from underserved communities, assistance often needs to come from familiar faces — from people who understand where they’re coming from. Alex Arnold, who is part-Chickasaw and transferred from community college, found support in Tripati’s lab. Now a doctoral student, she investigates how precipitation patterns have changed in the Southwest since the last ice age, shedding light on what the world might experience under climate change. Arnold is already modeling herself after Tripati’s ethos of giving back. 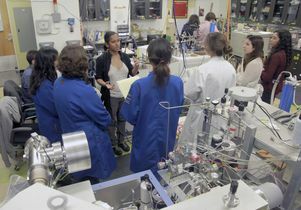 She volunteers with students from Santa Monica College, helping them become more comfortable with science by guiding them step-by-step through scientific papers. Arnold also serves as a de facto college counselor answering basic questions like how to fill out school loan forms. Another Tripati lab member, Jamie Dix, is a 34-year-old tattooed mom. She’s also pursuing a doctorate at UCLA to study climate change impacts on the Amazon. Dix joined the Tripati Lab more than three years ago. Though their stories are unique, Tripati’s growing crew of diverse environmental scientists shares much in common with people throughout the world. Having diversity among ambassadors is critical for the world to adapt to environmental concerns, says Fredrick Anyanwu, an advisory board member of the Center for Diverse Leadership in Science and the associate vice president of resource development for CARE, a global nonprofit dedicated to social justice and ending poverty. 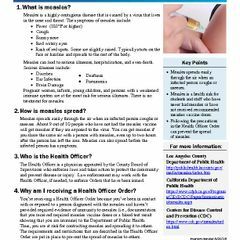 Alejandra Campoverdi, a former White House aide, women’s health advocate and First 5 California state commissioner whose March op-ed in Cosmopolitan on sexism in politics went viral, also sits on the center’s advisory board. She said Los Angeles and UCLA are ideal settings for the world’s first center for diversity in environmental science. “Raised in L.A. by my mother and grandmother who immigrated to the U.S. from Mexico, I experienced first-hand the challenges many students and their families face, including limited access to a quality education and crippling student debt. I can attest to the importance of critical support systems within academic institutions for unrepresented students,” Campoverdi said. “All communities deserve a voice in decision-making when it comes to the environment and the UCLA Center for Diverse Leadership in Science will do the necessary work to ensure that diverse communities have a seat at the table to advance environmental justice and reduce inequality of opportunity,” she added. As it continues to gear up, the Center for Diverse Leadership in Science will host a roundtable discussion later this fall to further discuss its work. To find out more, contact Aradhna Tripati at Aradhna.CDLS@gmail.com or CDLS.enquiries@gmail.com. 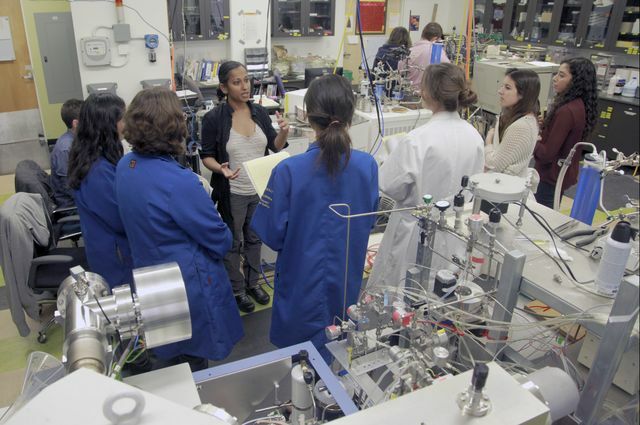 Aradhna Tripati, of the UCLA Institute of the Environment and Sustainability, speaks to students in a lab. 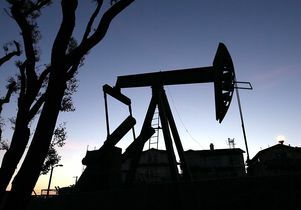 Silhouette of an oil drill in a residential neighborhood.